Sunday in Rander • 100th Edition Celebration! 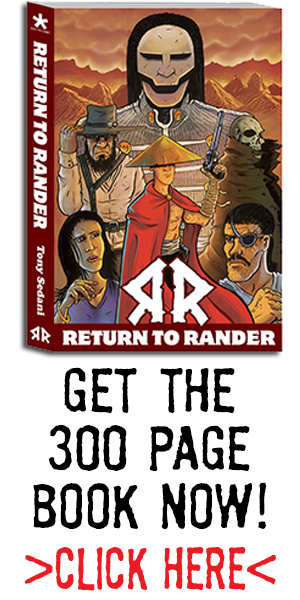 100 Editions of Sunday in Rander culminating in the release of the Return to Rander: Lone Savior Graphic Novel! The past few years have gone by so fast, it feels like yesterday that I posted the first edition of Sunday in Rander in hopes of keeping my blog alive as I made the comic. It turned into a motivator to me to keep sharing what I was doing for Return to Rander. 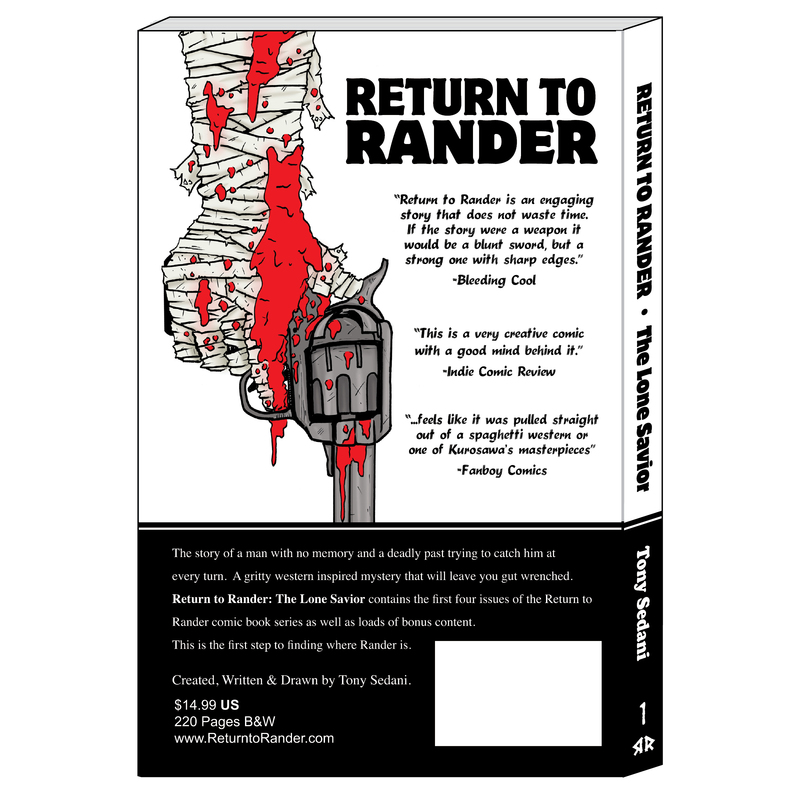 So, like I said, I am releasing the Return to Rander 220 Page Graphic Novel RIGHT NOW! It’s for sale on my store right up there^^^. The price is 14.99 plus tax and shipping, and I will include a few goodies! It is also available on amazon.com and is enabled for “amazon prime” if you want to save on shipping! However, that version will not be signed by yours truly! So thank you so much to everyone who supported me from inception of this idea straight through the past 2 years! And of course, it is not over, time to get working on a sequel! I want to thank you all for stopping by week after week and supporting me, it means a lot. And don’t worry, 101 will be up next week! Yeah, he’s punchy! For sale in my store ^^^! 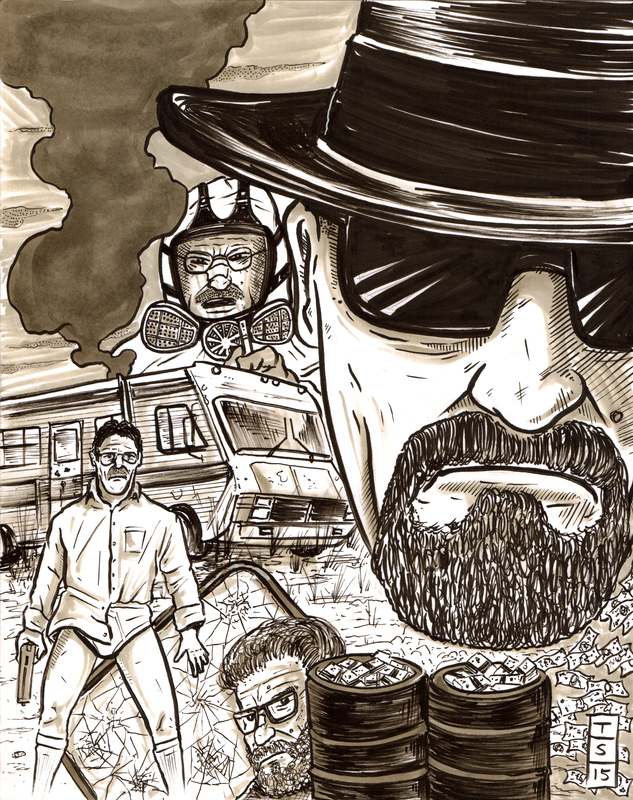 I am a little late to the game in making Breaking Bad art, but with all the buzz around Better Call Saul I had the incling to do a Walt piece. 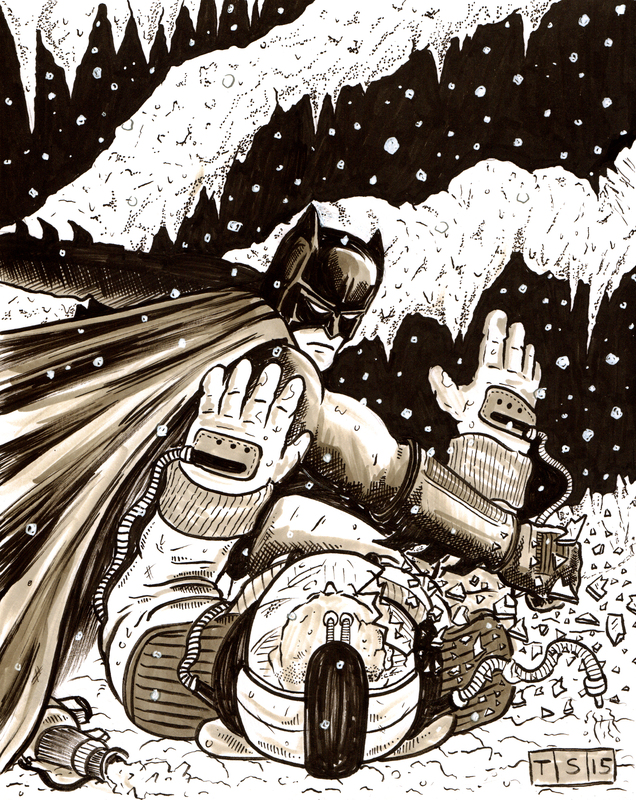 8 x 10 on bristol board, ink and gray tone markers. It will go up for sale in my store soon! 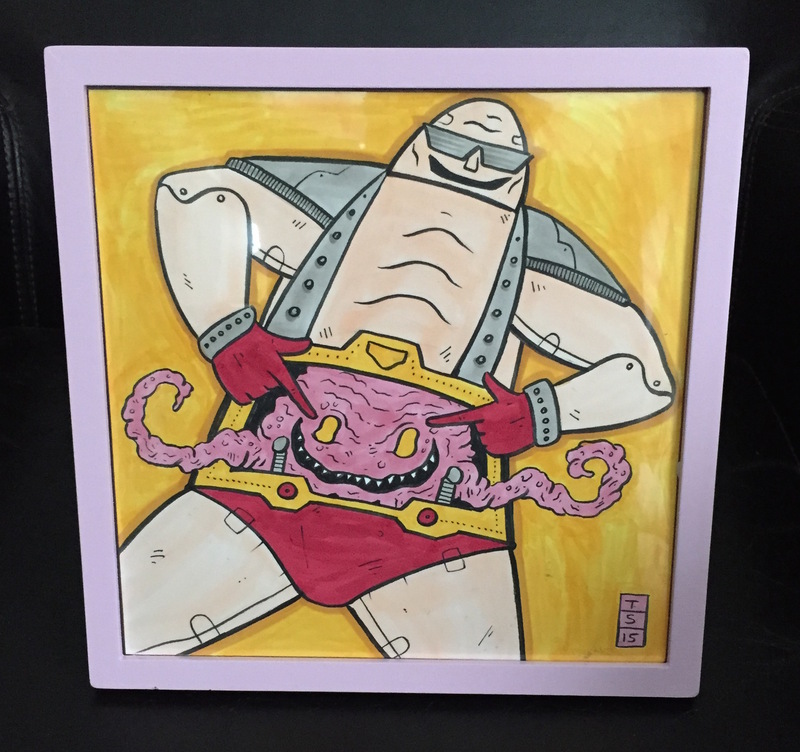 An illustration of the one, the only KRANG from TMNT! This is piece will be part of the BOSS KRANG Gallery show in Florida next month! If I lived closer, I would totally be there like “awesomeness on Krang”! 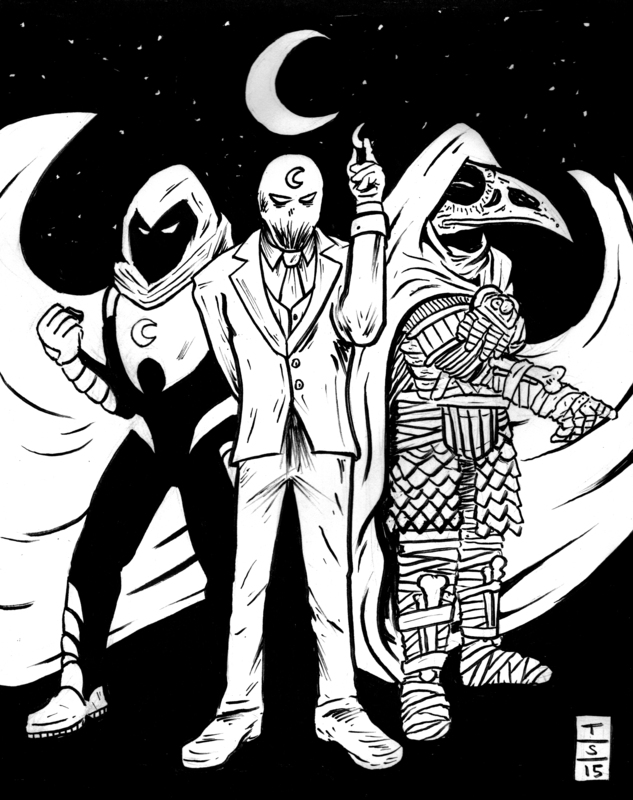 The three faces of Moon Knight. 8 x 10 ink on bristol! Welcome to Sunday in Rander! This week I am sharing with you another glimpse into Return to Rander: The Blood Isle! 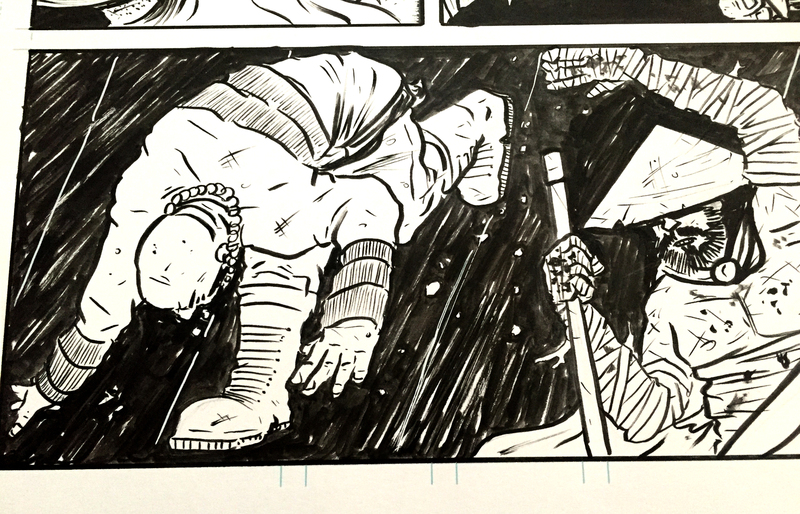 A random panel with no context, just like I always do! It’s going to be a long road till book 2 is done. So look for many many updates in the coming editions! 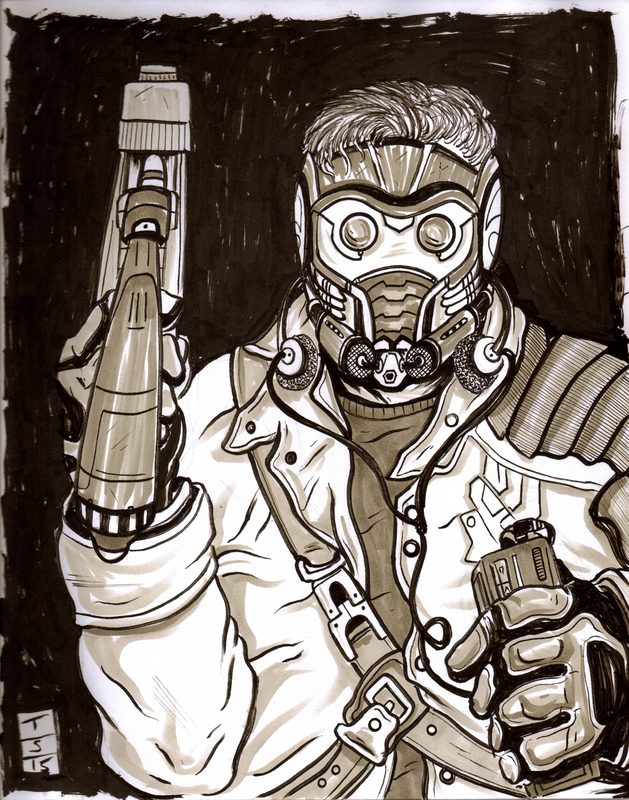 An 8 x 10 drawing of the one the only Star-Lord!